To Dog With Love: Fido's Freebie Friday Goes to the Dogs! Fido's Freebie Friday Goes to the Dogs! We're been busy with lots of canine houseguests recently. Must be the time of year for spring vacations, and camp Rocco has become a favorite of many of his puppy pals! 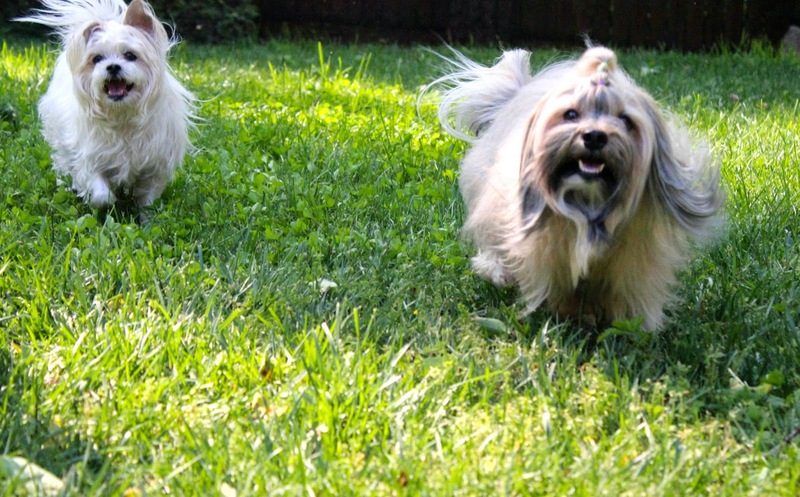 Rocco takes his pal Bingo through Rocco Bootcamp! Hope you've been getting to spend some time outside with your pups! When you're taking an indoor break, check out the Fido's Freebie Friday Blog Hop! You'll find all sorts of goodies in the giveaways listed below. You can enter them all or add your own! We make it easy by linking them up all in one place.